This is a great fundamental camp that helps boys and girls learn the game of basketball while having fun. Coach Driesell understands the training and skills required at the beginner and advanced level in order to achieve better results. 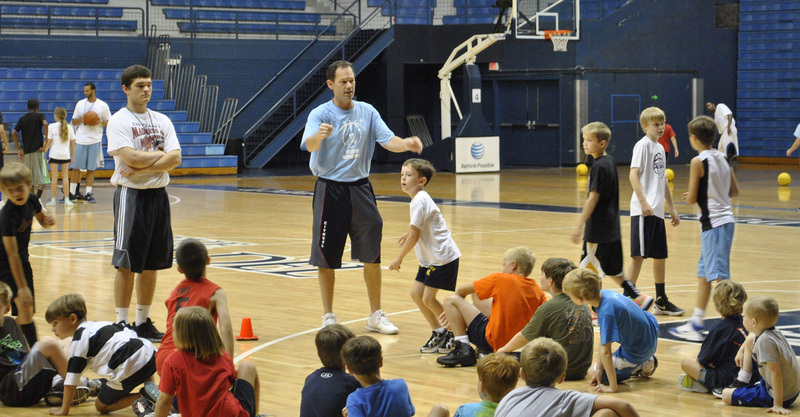 Let Coach Driesell work with your children to learn the proper skills essential to becoming a better basketball player. You can be a beginner just starting out or an experienced player looking to get better. This camp will help everyone improve! Campers can bring their own lunch or purchase lunch daily at the camp snack bar. Snacks and drinks are available for purchase throughout the day. Camp activities run Monday -Thursday 9 am-4 pm and Friday 9am-12noon.